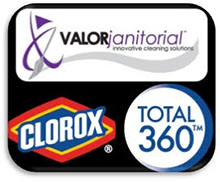 In an industry known for its high turnover rate, Valor Janitorial decided to do something new: we decided to invest as much in our people as we do in our equipment. After all, a commercial cleaning company is only as strong as its staff. Every member of our Dallas commercial cleaning staff has received comprehensive professional office cleaning training that includes classroom, written and hands-on instruction. Valor Janitorial employees know they are valued and respected and in turn, treat our clients with the very same respect. In the business world, this is invaluable. Please fill out the form below if you are interested in joining our team.